The August CPI is a good indication of what the cost-of-living adjustment for Federal retirees and Social Security beneficiaries would have been without the influence of Hurricanes Harvey and Irma. Without factoring in the effects of the recent storms, Federal retirees and Social Security beneficiaries remained on track for a modest cost-of-living adjustment in January based on the August inflation data released by the U.S. Bureau of Labor Statistics. For the July-August period, the Consumer Price Index for Urban Wage Earners and Clerical Workers All Items Index rose 1.7% compared to the July-August-September three-month average in 2016. Higher housing costs were offset by lower costs for new and used motor vehicles and wireless telephone services. Over the current two-month period, gasoline prices had little effect on the All Items Index as lower gas prices in July offset some of the effect of higher prices in August. Most of the price data for August were collected prior to when Hurricane Harvey made landfall in Texas, so the higher gas prices recorded in August did not reflect the full effect of Hurricane Harvey, or Hurricane Irma, which made landfall in September. After the arrival of the two storms, gasoline prices rose noticeably in most of the U.S. in September, although some of that rise is now receding. 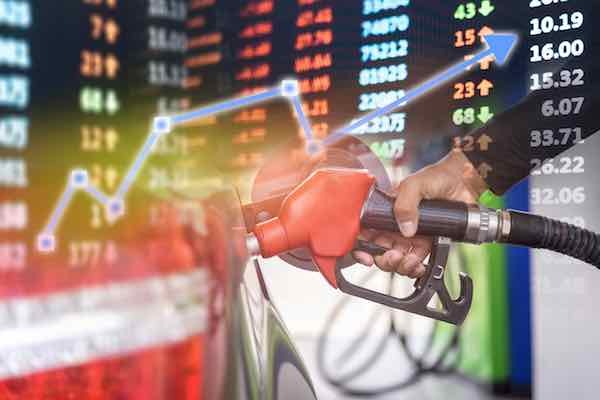 As of September 14, AAA reported that the nationwide average price for unleaded regular gasoline was $2.649 per gallon, down 8.6% over the past week but up 12.6% since mid-August. It is still too soon to judge how gas prices will affect the September CPI, which is due to be released October 13. The reason that gasoline prices get so much attention is because they have an outsized effect on the All Items Index. “Gasoline prices are so much more volatile than other CPI components that, even though gasoline makes up less than 6 percent of the CPI, it is often the main source of monthly price movements in the all items index,” according to a Bureau of Labor Statistics report. BLS is responsible for the monthly CPI. Gasoline has relatively more importance for the CPI-W (which is used to calculate the COLA), than it does for the more widely-known CPI-U index. There have been repeated calls to change the index used to determine the annual COLA with critics arguing that the CPI-W fails to reflect the buying patterns of retirees. One example of the difference lies in gasoline purchases. Because most retired persons no longer have a daily commute to work, they tend to use less gasoline than full-time workers and therefore gas prices have less importance in their budgets relative to other purchases such as health care. If gasoline prices remain high, then retirees may benefit from a COLA that uses the CPI-W rather than alternate indexes where the price of gasoline would have less importance to the All Items index number, such as the often-discussed experimental Consumer Price Index for the Elderly (CPI-E) or the Consumer Price Index for All Urban Consumers (CPI-U). While most people focus on indexes where costs are rising substantially, there are areas showing slower increases in costs. In prior years, medical costs were often a key factor in rising inflation, especially for older Americans who tend to spend a disproportionately high percentage of their income on medical care when compared to the general population. This year, medical costs have been subdued. The CPI-W Medical Care Index has risen a modest 1.9% for the twelve months ending in August compared to a 5.2% rise in the year ending in August 2016. Much of that slowdown is due to lower health insurance costs borne by consumers. The CPI-W Health Insurance Index has risen only 0.2% over the past year. Other examples of slowing inflation include apparel where costs have declined 0.5% over the past year. Costs for new and used motor vehicles have dropped 1.9%, while wireless telephone services have decreased 13.1%, according to BLS. For both new and used motor vehicles and wireless telephone services, BLS considers quality improvements as well as changes in prices. If a product is improved without an increase in price, BLS considers that a price decrease. Some of the decline in these two indexes represents improvements in the products greater than their change in prices. Retired Federal employees and Social Security recipients will receive a cost-of-living adjustment based on the average of the July, August, and September 2017 All Items index numbers for the CPI-Urban Wage Earners and Clerical Workers (CPI-W) compared to the 2016 average for that same three-month period. For 2016, that average equaled 235.057, so any increase has to be above that number. The CPI represents changes in prices of all goods and services purchased for consumption by urban households. User fees (such as water and sewer service) and sales and excise taxes paid by the consumer are also included. Income taxes and investment items (like stocks, bonds, and life insurance) are not included. In all, these expenditures are classified into more than 200 categories, each of which are weighted to reflect the expenditures obtained from a survey of households. While recipients of a COLA may wish for as high an increase as possible, a higher COLA also represents a higher cost to the Federal government and adds to the budget deficit. For those reasons, it is important that any change in a COLA be as accurate reflection of the true change in costs as is possible. With the release of the August CPI, BLS reported that Hurricane Harvey had a very small effect on survey response rates in August. Price collection late in the month was disrupted in 2 of the 87 collection areas. Hurricane Irma affected much of the state of Florida in September, so it is unclear how the storm may affect data collection, particularly in South Florida where many evacuated the area for several days and some businesses remain closed. « What Impact Does Returning to Federal Service Have on Your Annuity?